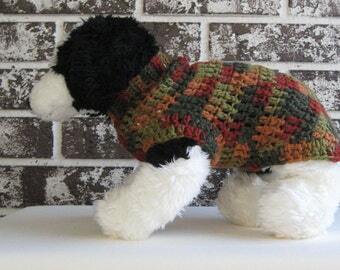 Announcement Welcome to Cronin Creations where you'll find fun yet practical items for your pet. My sweaters are meant to be used, worn, played in, and comfortable. 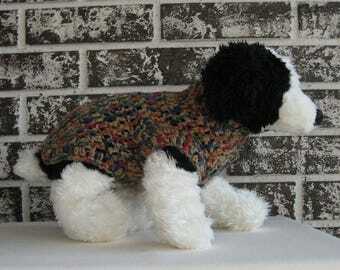 I make sweaters for dogs of any size from the tiny ones to the really big ones. 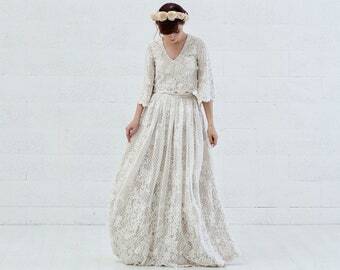 My items are hand made using quality materials. 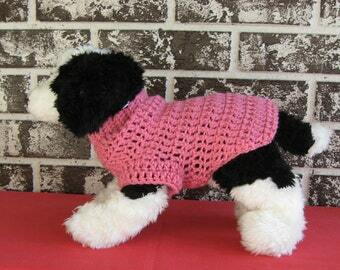 ~Warm your dog;in cool weather, an added layer of protection can make all the difference. On the coldest of days, even indoors, you may find him seeking warmth. 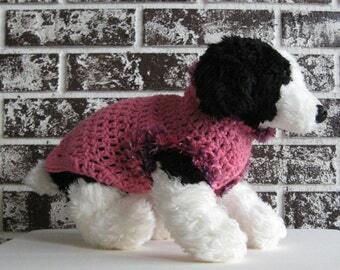 ~Keep him dry; protect tummies of dogs with short legs from wet grass. ~Keep his coat clean, keep burrs and thistles out of his coat. -Repel fleas and ticks, reduce insect bites. ~Cool him in hot weather by reflecting the hot rays of the sun. Under the hot sun and a hot fur coat he can suffer heatstroke. ~Add fun to holidays and events. 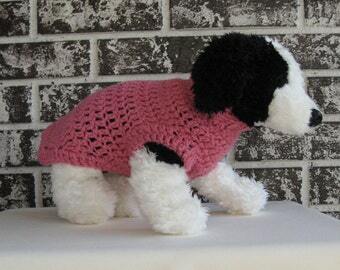 Welcome to Cronin Creations where you'll find fun yet practical items for your pet. My sweaters are meant to be used, worn, played in, and comfortable. 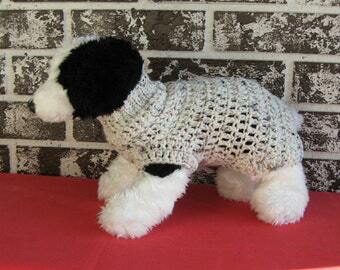 I make sweaters for dogs of any size from the tiny ones to the really big ones. 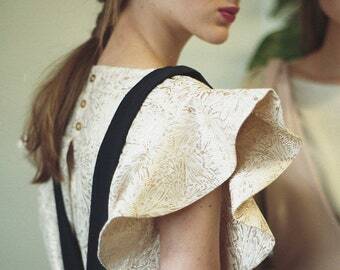 My items are hand made using quality materials. 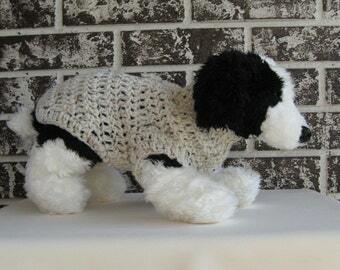 Dog sweater, med. 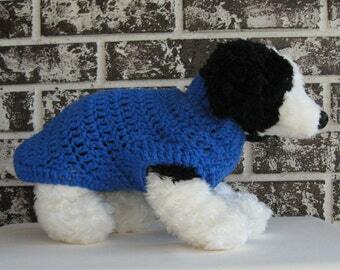 dog sweater, large dog sweater, oatmeal color dog sweater. 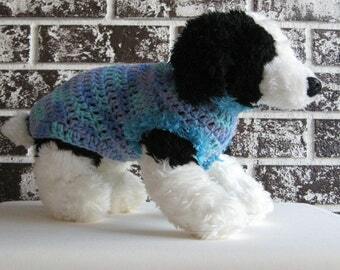 Fur trimmed blue dog sweater, blue multi dog sweater with fur trim, med blue sweater, large dog sweater in blue multi with fur trim. 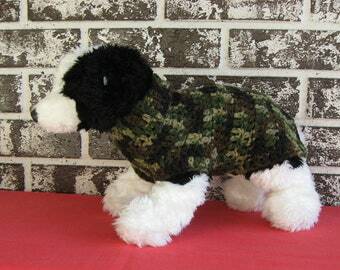 Dog sweater in camoflage, med dog sweater, large dog sweater, camo dog sweater, crochet dog sweater. 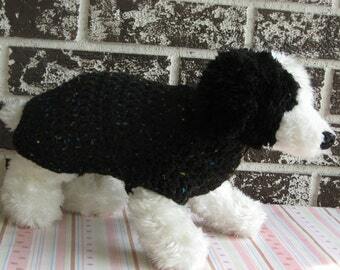 Black fleck dog sweater, med black dog sweater, large black dog sweater, crochet dog sweater. 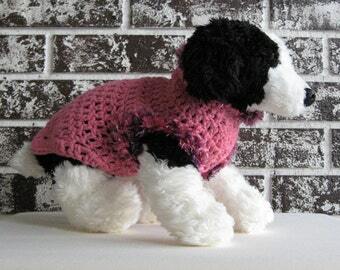 Dog sweater in pink camo, xs dog sweater, small dog sweater, pink camo dog sweater. 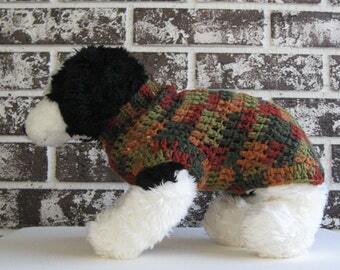 sweater for small pets, crochet dog sweater. 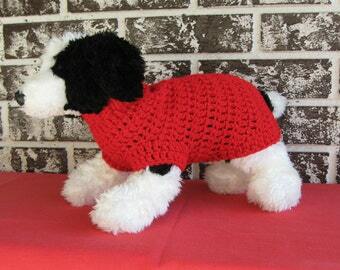 Xs, s dog sweater in red with black fur trim, fur trimmed dog sweater, pet sweater, fancy dog sweater in red with black trim. Love it so much I bought it twice!!! Thank you!!! 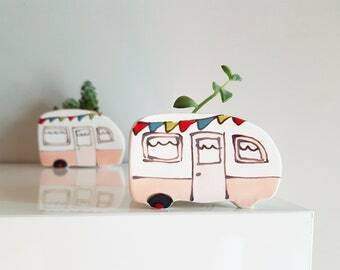 We love everything Kathleen makes! Custom sweater for Jennifer W.
Hi, welcome to my store. 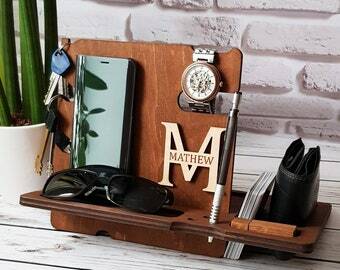 All my items are handmade and therefore each is unique, they may look a little different from the photo. Feel free to send me a conversation if you have any questions. I want you and your pet to be happy. All my items are created in a non-smoking, unscented home. I have one cat. 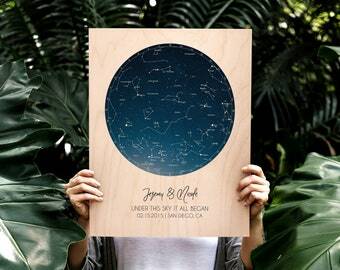 If you are not happy with your order, please let me know. Exchanges will be accepted on non-custom orders. You will be responsible for return shipping to me but I will pay the shipping for the new item. I accept paypal, money orders, checks (must be received before shipping). Custom orders are welcomed. I will need your pets measurements around the neck, the chest and the length from neck to tail. Usual turn around time is 3-6 days.